Do you remember I told you about my visit to the Curious Gardener? And I also told you she gave me a fresh winged bean pod and I got 4 seeds out of it? Well, all of them germinated within 8 days! That is one week and one day! That is as fast as a rabbit (kangkong is as fast as a jaguar)! It is because the seeds were fresh and also the pod ripened on the vine. They have to share the screens with the bittergourd and angled luffa. Last Friday, Curious Gardener invited me and Mummy to her house. It had a really, really wonderful garden with a one-ton sack of compost sitting right by the gate! 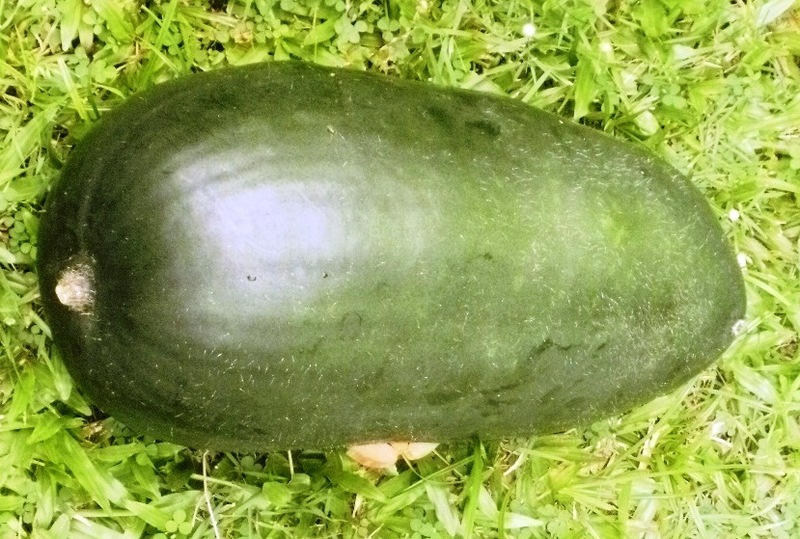 She showed me her super-ginormous wintermelon, see? 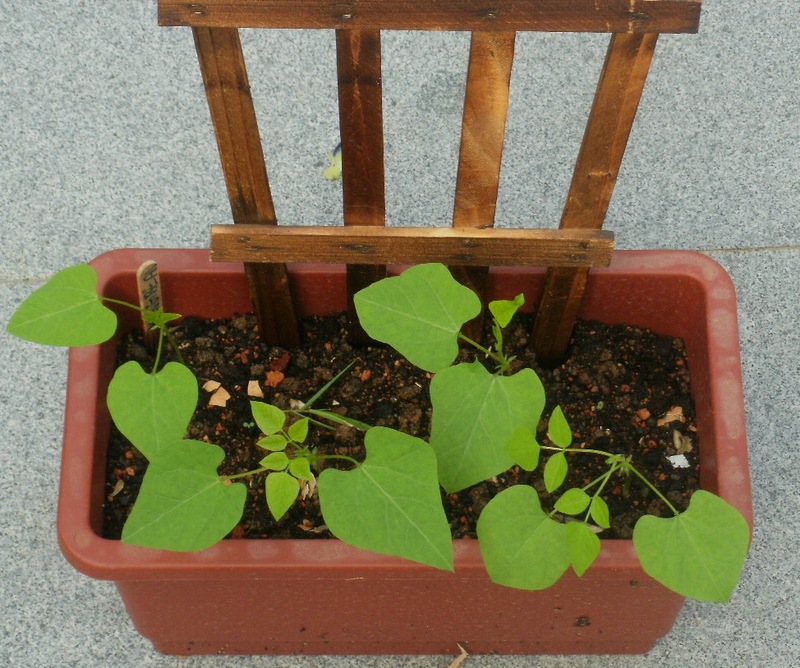 I hope my wintermelons will be as big and we can make lots of tong tung kwa (dried candied wintermelon), yum yum. I will write about my wintermelon plants another day. 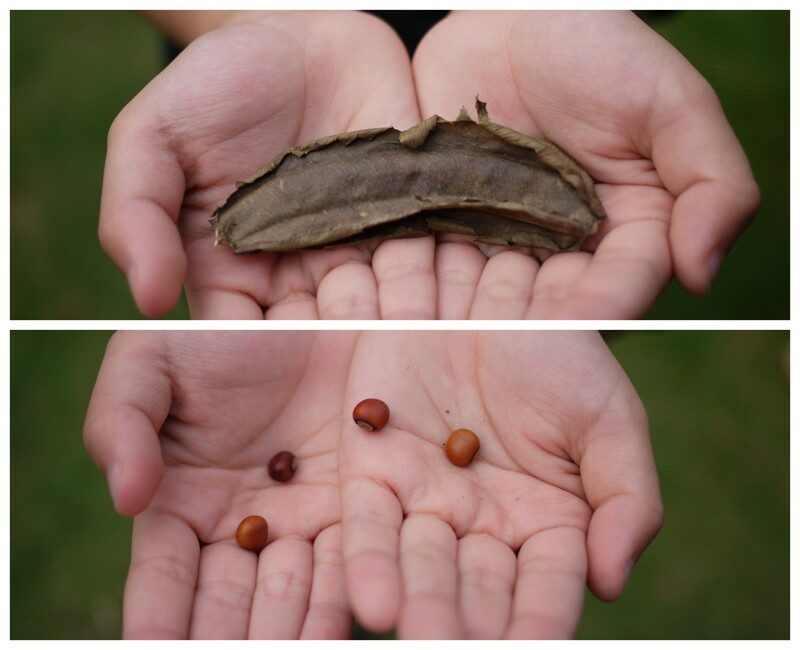 She also gave me a dried winged bean pod. It was very dry when she gave it to me. When I came home, I immediately cut it open with a pair of scissors. Out came 4 seeds! They looked like little round red beans. You can see the pod and the beans in the photo below. I sowed them in a trough the next day.